Hi Josh, I have no idea how or why I started receiving your emails, but I love them. As a creative entrepreneur, I have grown and gained considerable success and happiness over the last 3 years and fast. During this growth period I reflected on what I was doing right and collected a list of one liners on my phone. For example, “Don’t burn bridges, you never know who’s on the other end.” Things that are common knowledge to you and I, but maybe not so much to a young person looking to achieve the same successes. I later told myself when I had 100 of these one liners I would publish a book. What I’m struggling with, and this goes to your email below, is lack of a social following and no medium reports or blog posts during this organic process of collecting virtues. I exist only to my friends, clients, family and employees. What advice would you give a writer in this situation? How to gain clout and an audience when the book is already written? One of my greatest regrets from writing my first book, Chief Marketing Officers at Work, is that I didn’t build an audience prior to publishing it. If I had, I would have sold a lot more copies, impacted more lives, been on more podcasts, gotten more write ups in publications, and so on. I’m not making that mistake the second time around. Instead, I’ll follow Copyblogger founder Brian Clark’s example when he said “I’m going to build a loyal audience, and then I’m going to sell them stuff.” This is a strategy also advocated in Growth Hacker Marketing by Ryan Holiday. In 2016 I created a Facebook group called Influencer Inc for people who want to become thought leaders. The idea was that first, I would verify that people were interested in the book I planned to write on the topic of building personal influence and making a living off it. If they liked the topic and the content I posted in the group, then I could also market my book to that group once it came out. The group started off slow, but then grew to several hundred members, then thousands, and accelerated to where 200 people were joining each week. By the time you read this who knows how large it will be. However, I wasn’t satisfied with a Facebook group, and I’ve set out to grow my community in other ways. Here are a few of them, with additional audience building tips from members of the Influencer Inc community. Set up a blog if you don’t already have one. I recommend WordPress. Use the Yoast SEO plugin. Get some outside help to set it up if setting up a website isn’t your thing. Set up ConvertKit for your blog to start building an email list. Add signup forms to your site where they make sense. Not too many, not too few. Create a blog post for each of these 100 one liners [this advice was in direct response to Tony’s email above]. Write one a day, or one every other day, or whatever works for your schedule, but at least 3 per week if possible. End each blog post requesting comments and feedback. This will be invaluable for what comes next. Treat each blog post as a chapter of your book, except these are chapters you can still change, because they haven’t been printed yet. As you get feedback on them, modify the post. Yeah, it’s ok, you can write a blog post and then change it later. I update my blog posts all the time to make them better. Some, I’ve completely rewritten 3-4 times. Whenever you create a new post, send a short summary and the link to your growing email list. Ask them to share it with a friend. For a lot of people their main concern here is “But if I give my book away on my blog, who will buy it?” The secret is that if you give your book away on your blog, more people will buy it. Ben Horowitz wrote an amazing book called The Hard Thing About Hard Things (must read if you’re an entrepreneur). It’s basically all his blog posts compiled into book form, with some editing and refinement. I know I could go and read all his blog posts and get pretty much the same content, but I bought his book instead. Why? Because I don’t read blogs all that much–but I listen to a lot of audiobooks. For me, it was a convenience factor in that the form of his content didn’t match my consumption style. But even if I were a blog reader, I’d probably still buy the book, because I know that he put things together in the book in a certain order, and refined things, and I would want to read it in that form. For other people they might like sitting down with a physical, paper book rather than a blog, or maybe they love the Kindle experience, or maybe they got hooked on an author’s blog and want to support him or her. There are 50 other reasons someone might buy a book even when they can get the same content from a blog. If you don’t put it out on your blog, you miss out on getting the feedback that will make your book better. 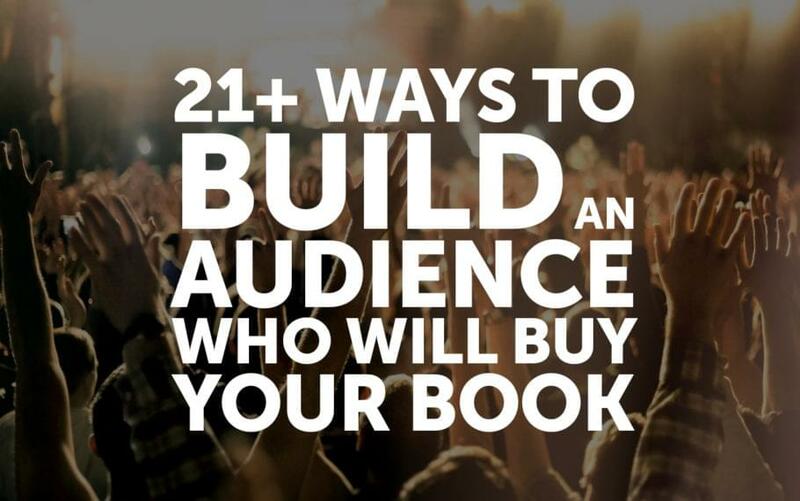 You also miss out on the chance to build the audience who will buy your book, and that’s where you’d really be shooting yourself in the foot. You’ve got answers, start finding the questions to your answers on Quora, and use your blog posts to answer those questions. Copy and paste the whole blog post where it fits. Use part of it where that’s a better fit. Then at the end of your answers include a link and say “I’ve got more stuff like this at…” and link directly to the blog post your answer came from. Whenever you create a new blog post, share it everywhere. Ask for comments and feedback. Tell people you’re using these blog posts as the rough draft of your new book you’re working on. Sounds like good advice to me. But Kiri isn’t the only one with this advice. I’m on board with Sonia on this one, for sure. I partnered with Bailey Richert to host Influence Summit 2017, a virtual summit, and it’s an amazing tool for collecting a ton of email addresses, and you can also make decent money. What’s your best tip for growing an audience before you’ve got the book, so that when the book comes out you’re ready to sell it immediately? Tell me in the comments below.